torage Squad was founded by Cornell University undergrads Nick Huber (left) and Dan Hagberg (right) during the late spring of 2011 in Ithaca, NY. 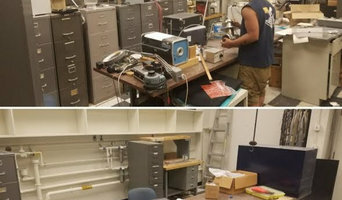 The first storage season, which took place the summer between Nick and Dan’s junior and senior academic years, the duo operated only at Cornell and learned the ins and outs of starting a business. With optimistic attitudes the two then spent their senior year learning how to build a website and other important aspects in the industry. The next season Nick and Dan recruited a few high school friends and family members to help them run branches at other schools like Indiana University and the University of Illinois. Since then, Storage Squad has grown to service students at 36 schools in 7 states and 12 cities! The company is also providing services to residential and commercial clients in Philadelphia and Boston. We take tremendous pride in our focus on quality service and affordable pricing. The company is constantly evolving so we can continue to offer a product that is superior to the competition in more ways than just pricing. We are extremely grateful for the opportunity to serve your storage needs and are lucky to do something we love each and every day! 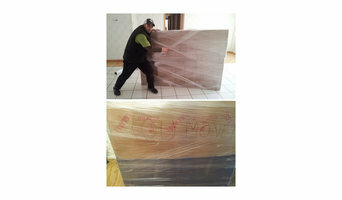 Find companies in Boston, MA that provide storage or moving services on Houzz. Scroll through this page to find a home removalist storage solution in your area. Just enter your suburb at the top of this page to narrow your search. Get contact information or message professionals directly so you can ask about rates, and read customer reviews.